New York Yankees third baseman Alex Rodriguez joined the hallowed 500 Home Run Club with a three-run jack down the left field line at Yankee Stadium against Kyle Davies of the Kansas City Royals on August 4th, 2007. The three-time American League Most Valuable Player is the youngest ever member of the 500 Home Run Club, reaching the historic plateau at the age of 32. Rodriguez finished this game, a 16-8 Yankee victory, 3-4 with three RBI, three runs scored, and a stolen base. The former first overall draft pick captured his third American League MVP in 2007, leading baseball with 54 homers, 156 RBI, and 143 runs scored while hitting .314 with 24 steals. 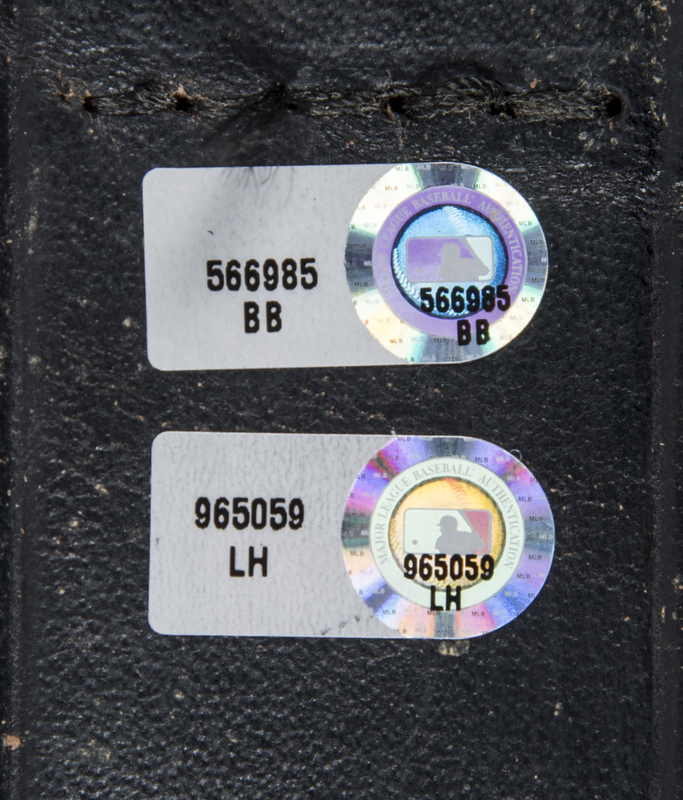 Offered in this lot are four uniform accessories worn by Rodriguez during his 500th home run game. 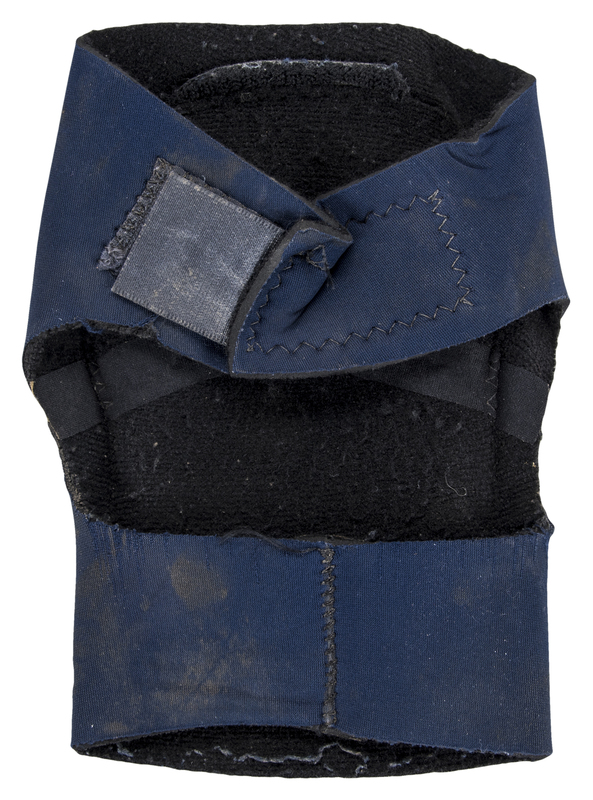 These items include a forearm sleeve, a belt, a pair of sunglasses, and a blue elbow pad. 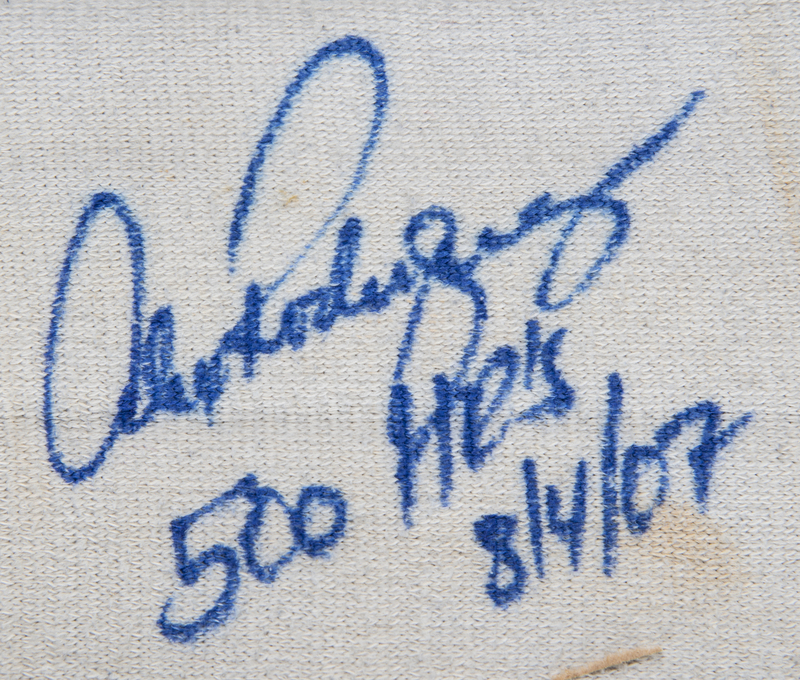 Rodriguez has signed the belt in silver marker, inscribing “8/4/07” and “500 HR’s”. 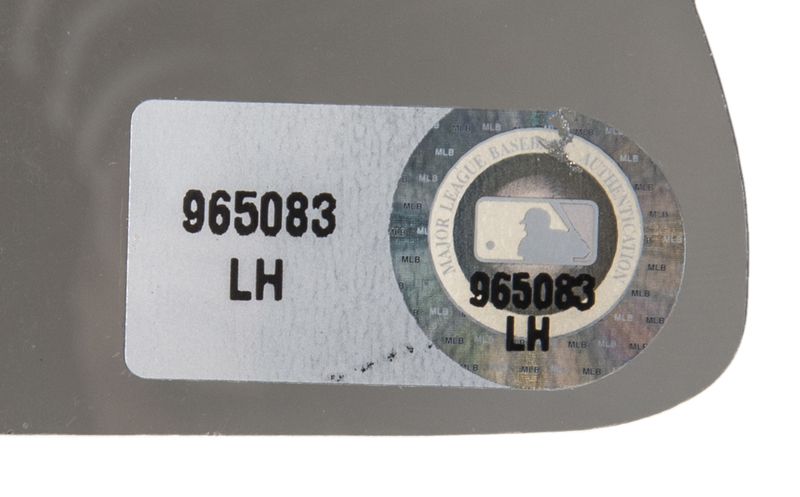 This belt comes with two MLB Authenticated holograms (LH 965059, BB 566985). 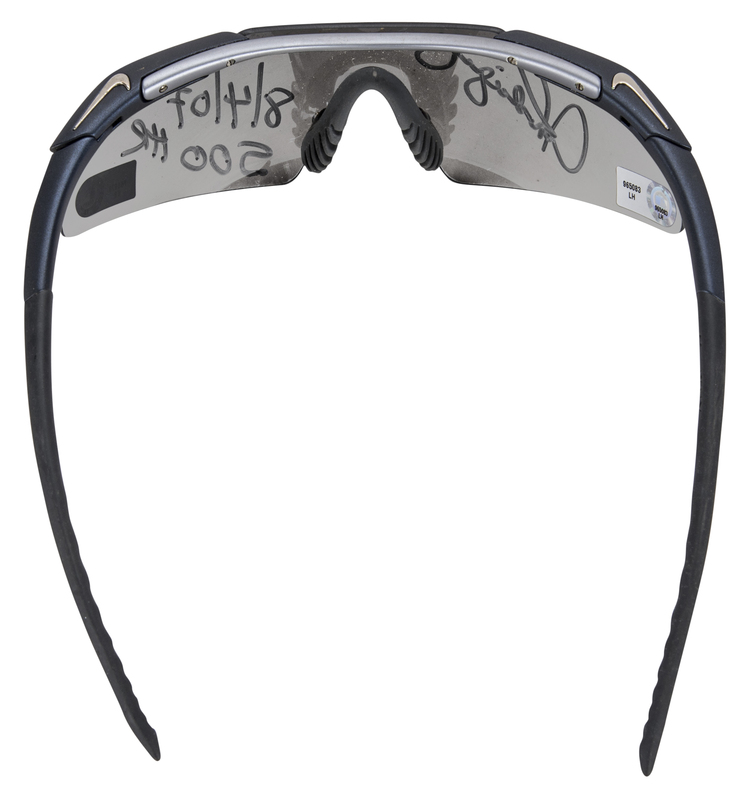 Rodriguez has signed the right lens of the offered Nike sunglasses in silver marker, inscribing “8/4/07 500 HR” on the left lens. 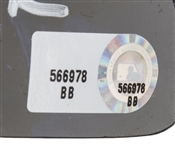 These glasses come with two MLB Authenticated holograms (BB 566978, LH 965083). 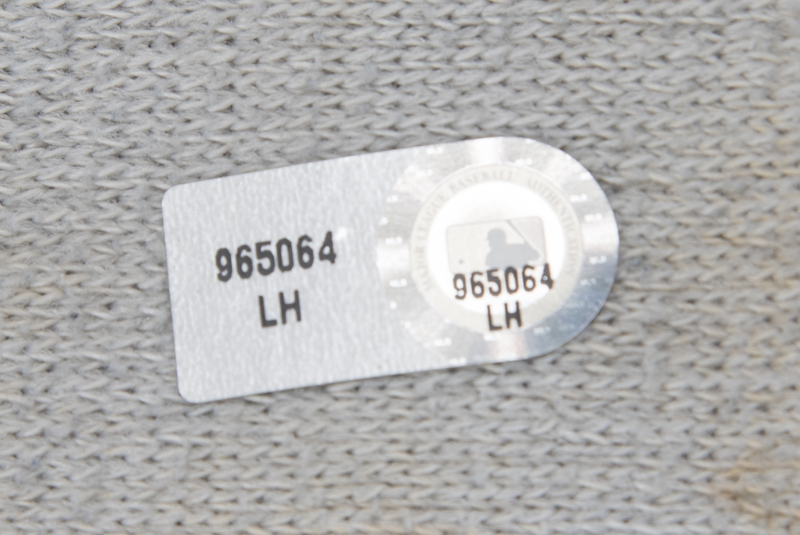 The Benik elbow pad has been signed by Rodriguez in silver marker, with the 14-time All-Star inscribing “500 HR 8/4/07” below his signature. 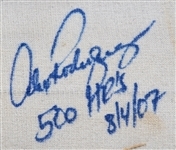 Rodriguez has signed the forearm sleeve in blue marker, inscribing “500 HR’s 8/4/07”. His number “13” is written in black marker on this forearm sleeve. 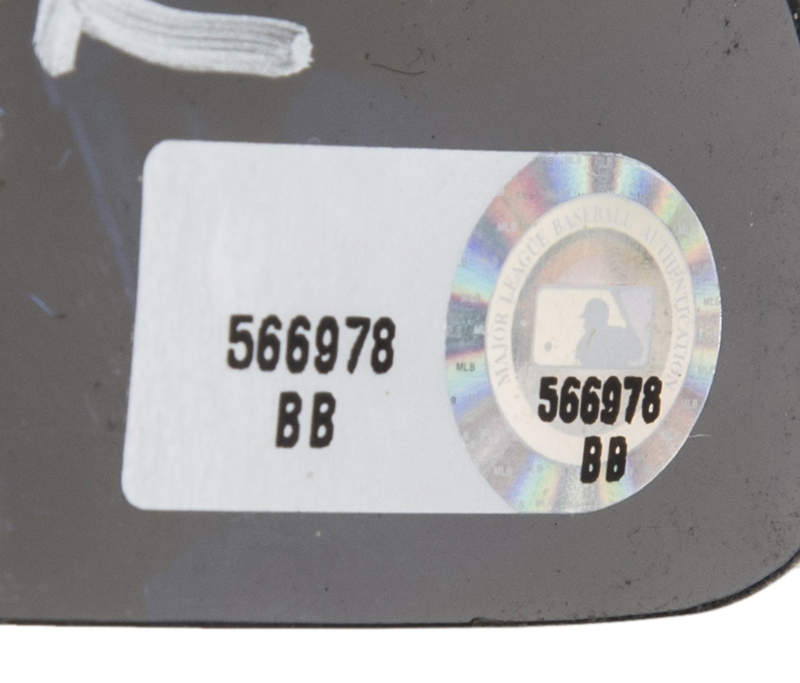 This item comes with an MLB Authenticated hologram (LH 965064).